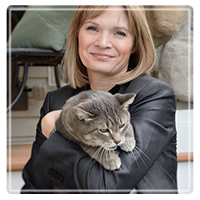 Grande Prairie Therapist: Lisa Schlosser - Therapist T8X 0H2. Lisa is a Registered Psychologist with the College of Alberta Psychologists (CAP). specialized areas of instruction into her therapeutic approach. Lisa has received advanced level training in Eye Movement Desensitization and Reprocessing, (EMDR), including Early Trauma and Neglect protocol. She has also received training in clinical hypnotherapy and ongoing clinical consultation from, world renown clinician and author, Michael Yapko. to Couples Therapy (PACT), by its founder, Stan Tatkin. Ongoing professional development and consultation is important to Lisa in order to maintain a high level of client care.